Dr Blood's Video Vault: A new challenge begins! Yes, it's the first "Woeful Wednesday" of 2013, so it's time to start another crappy "indie horror" challenge over at "The Pit of the Pendulum". 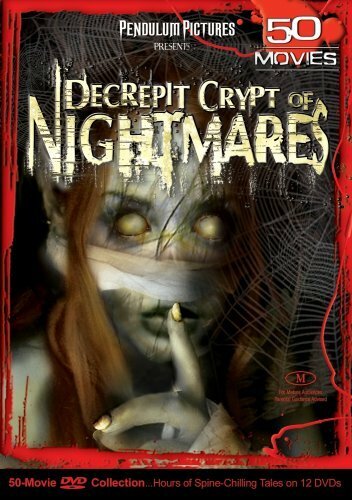 This month (and a bit), I will be working my way through the companion box set to "Tomb of Terrors" which came in the "Bloody Nightmares" 100 movie pack: "Decrepit Crypt of Nightmares". If you've never heard of any of the following titles, it's no big deal. Nobody else has ever heard of them either. This is all the amateur junk that's supposed to be so liberating for filmmakers and actors... although you'd be hard pressed to use either of those terms to describe anyone involved. If you aren't into this crap, I'll still be reviewing movies on "Dr Blood's Video Vault". Keep checking-in because I'm all about the best horror movies here.